EverythingChopsticks.com, a leading seller of chopsticks in the United States, has added several new styles of luxury Chinese chopsticks. 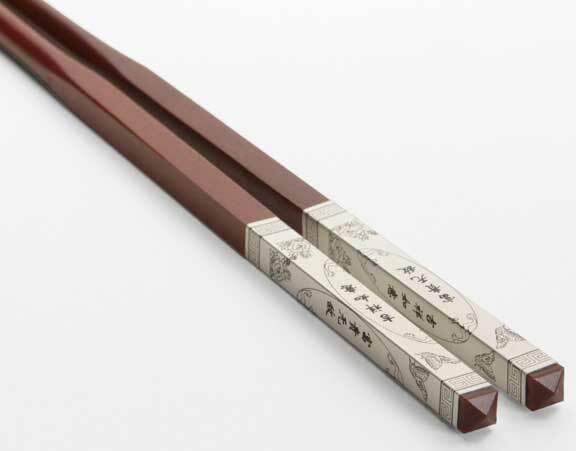 These chopsticks embody the elegance of Chinese style. The luxury Chinese chopsticks all share nice sticks made of sandalwood with a polished finish. Each is decorated with an elegant gold or silver colored metal cap on the handles with text and graphics over printed in black. The Double Happiness model comes with either a gold or silver colored metal cap. The chopsticks are 9-7/8 inches long with a 1-1/8 inch cap. The metal cap has the double happiness characters printed in black. Double happiness is the most popular good wish for birthdays, weddings and other happy occasions. The Good Luck model is considered the nicest of the three styles. It is 10-5/8 inches long with a long 2-1/2 inch silver colored metal cap. The metal cap has eight characters that mean invincible rich life with good luck and happiness. Chinese style chopsticks differ from Japanese style chopsticks which are more common in America. While Japanese chopsticks are commonly about 9 inches long and taper from handle to tip, Chinese chopsticks are long, typically 10 inches or more, with square handles and round tips. They usually have little to no taper. Common chopsticks in China are made of simple wood with no decoration. Dark woods are most popular or common. Sandalwood is considered a nice, rich dark wood. Chopsticks were invented in China about 5,000 years ago. Chopsticks use spread to other countries and cultures in Asia during the early centuries of the first millennium. Styles of Chinese chopsticks changed dramatically over time from short, around 7 inches to long. The current style of Chinese chopsticks was derived during Ming dynasty and exists as the common style to this day.